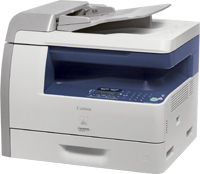 Canon i-SENSYS MF6560PL Printer Driver & Software for Microsoft Windows and Macintosh. 1. To download files, click the file link, click [Accept & Download], then select [Save] and specify the directory where you want to save the file. Click [Save] to start the file download. 2. The downloaded file will be saved in the specified place in the self-extracting form ( .exe format ). 3. Double-click the downloaded EXE file to decompress it, then [DiasServicePack_Multi] folder will be created. 4. Double-click the [DiasServicePack_Multi] folder. 5. Double-click the [DIASUPD.exe] file to start installation. *When double clicking [DIASUPD.exe], dialog box will not show, but installation will be proceeded.